Leveraging the Web Perf Metrics That Affect User Experience — A 40-min talk looking at the metrics and platform APIs that enable user-centric performance measurement and how developers can use this data to improve end-user experiences. The Browser Hacker's Guide To Instantly Loading Everything — A snappy 25-min talk on modern techniques to improving page loading performance from the front-end perspective, particularly from a mobile POV. 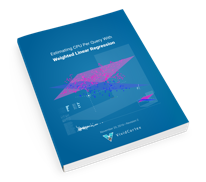 Estimating CPU Per Query With Weighted Linear Regression — It's sometimes impossible to answer what's consuming resources like CPU, IO, & memory in a complex software such as a database. This ebook explains how a specialization of ordinary linear regression answers seemingly unsolvable database questions. 'Please Make Google AMP Optional' — Discontent around Google’s Accelerated Mobile Pages project doesn’t appear to be fading away. Create a Sliding Item Animation with a Directive in Ionic 2 / 3 — How to create a sliding item animation in Ionic 2+. Aspect Ratio Boxes — CSS tips for making aspect-ratio friendly boxes. The Xamarin Forms Approach to Cross Platform Mobile Apps — Xamarin.Forms provides a Microsoft-flavored approach to writing UI code once and running it everywhere. Testing PhoneGap Apps — A slide presentation from PhoneGap Day EU on testing your PhoneGap apps. Using CodePush with NativeScript — Sebastian Witalec demonstrates how a NativeScript mobile app can utilize CodePush to allow for automatic updates outside of the app store update process. dutier: A Small (1KB) Centralized State Management Solution for JS Apps — A simple functional component state management solution inspired by Redux. A Decade of Decadence, Apple iPhone and My Mobile Web Memoir — Once Yahoo’s sole mobile web developer, Tomomi Imura briefly reflects on how she’s seen things advance.